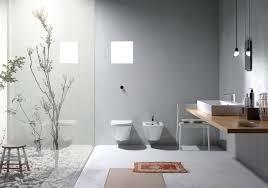 GSI bathrooms in Lewisham and South London can be supplied by MDS based in Sydenham SE26. Designed and manufactured in Italy, GSI offers quality ceramic china for beautiful contemporary bathrooms. Using the latest technology GSI is renowned for its beautiful profiles and smooth edges. All surfaces are in Extraglaze treatment to maintain its superb finish. There are five distinct ranges from the GSI catalogue all of which will give you inspiration to create a modern, contemporary bathroom which will compare with the most expensive bathrooms at a price which is far more affordable. Quality, design and finish are of the highest standard. GSI is a leading sanitary brand sold in over fifty countries. All bathroom products are produced by the complex method of 3D system technology in every stage of production. Using the latest technology allows quality improvement and the strictest supervision of manufacture throughout the process. GSI bathrooms are of the highest standard. You can call MDS on 020 8778 2887 or call into our showroom or just pick up a brochure. If you are choosing a new bathroom or cloakroom then a smart modern GSI bathroom could be the refreshing alternative at affordable cost. View product online.